Thomas (“Tom”) Bright has spent his entire legal career practicing labor and employment law representing management. As a litigator, Tom has handled cases ranging from sexual harassment matters, to wage payment matters, to all nature of employment discrimination matters. He has handled cases for clients in his home state of South Carolina, throughout the southeast, and in states like New York, Minnesota, California, Utah, Missouri and Texas. Tom has also advised clients through administrative audits conducted by state and federal Departments of Labor, issues related to affirmative action, overtime pay, and payment of wages issues. Tom’s practice includes handling matters for public sector employers on employment issues that are unique to them, including due process and free speech issues. Thus, he has represented numerous counties, municipalities, and state institutions on matters ranging from discipline, to grievance matters, to litigation. Tom regularly speaks to local, regional, and national human resource organizations on the pressing topics of the day, and he works with many employers doing training for supervisors and management on how to effectively manage employees in a legal environment that is constantly changing. Community involvement has also been a trademark of Tom’s career as an attorney. He has served as a member of the local YMCA board and the board of the local Red Cross. He has volunteered his time as a coach in baseball, basketball, and football for local youth sports teams. 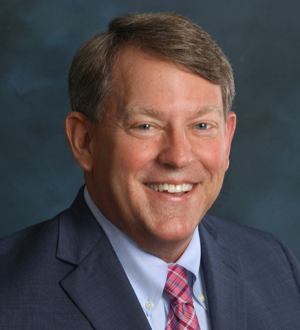 Professionally, Tom has served in various positions in the Labor and Employment Law Section of the South Carolina Bar Association, serving as publications chair, co-chair of the Annual North Carolina/South Carolina joint employment law CLE program, and Chairman of the Labor and Employment Law Section of the South Carolina bar.